Wes Ellis: The Jesus Prayer: "...Son of God..."
The Jesus Prayer: "...Son of God..."
In continuing a reflection on the Jesus Prayer, as I go through the Lent Season praying this prayer with my church community (KUMC), I now turn to perhaps the most ancient distinction we could make about Jesus. When we refer to Jesus as the Son of God, there is a twofold implication to our confession. As good ole' fashioned trinitarian Christians, we might think first of Christ's place in the Godhead; Son of the Father, bound in unity with the Holy Spirit--one God, three persons. While this is indeed a good place for our minds to go, it is actually a development from a preceding implication, namely, that of Jesus' mission in the world. "'Thou art my Son,' is not the definition or accreditation of a metaphysically defined status of sonship; it is the summons to a task. 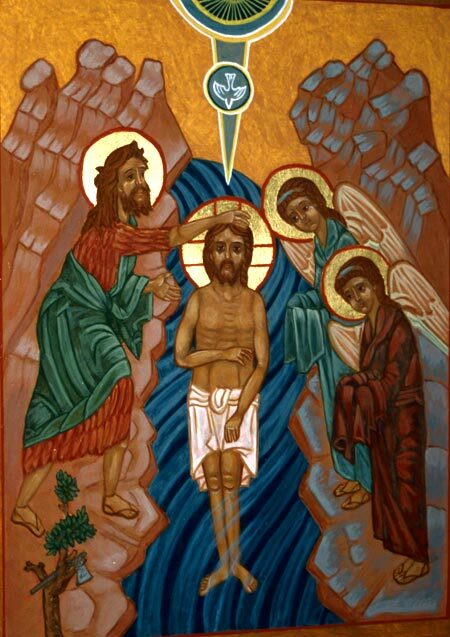 Jesus is commissioned to be, in history, in Palestine, the messianic son and servant, the bearer of the goodwill and the promise of God. This mission is then further defined by the testing into which Jesus moves immediately" (The Politics of Jesus, 24). When we speak of Jesus as the Son of God, we are not foremost speaking of his divinity. It is not just a creedal confession, it is a confession specifically concerning that which Jesus came to do and to be. It is a mission defined by the Kingdom of God, the dominion of God being brought to bear in the world, here among us. "In Jesus himself...we see the biblical portrait of YHWH [God] come to life: the loving God, rolling up his sleeves (Is 52:10) to do in person the job that no one else could do; the creator God, giving new life; the God who works through his created world and supremely through his human creatures; the faithful God, dwelling in the midst of his people; the stern and tender God, relentlessly opposed to all that destroys or distorts the good creation and especially human beings, but recklessly loving all those in need and distress. 'He shall feed his flock like a shepherd; he shall carry the lambs in his arms; and gently lead those that are with young" (Is 40:11). It is the Old Testament portrait of YHWH, but it fits Jesus like a glove" (The Challenge of Jesus, 121). 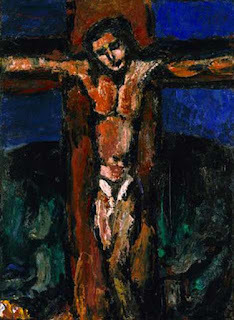 When we call Jesus the Son of God we are joining him in the recognition of his unique and specific task of being for the world as God is for the world -- "...to enact in himself what, in Israel's scriptures, God had promised to accomplish all by himself" (Wright, Jesus and the Victory of God, 653). In doing so, we point toward the healing of the world and the redemption of humanity. Hereby, we are actually pointing toward the cross, the source of our redemption, where God in Christ was truly with us at the depths of our despair and abandonment, bearing with us in our oppressiveness and in our oppression, in our guilt and in our suffering. "Here at the cross," writes Yoder, "is the man who loves his enemies...who being rich became poor, who gives his robe to those who took his cloak... The cross is not a detour or a hurdle on the way to the kingdom, nor is it even the way to the kingdom; it is the kingdom" (Yoder, 51). 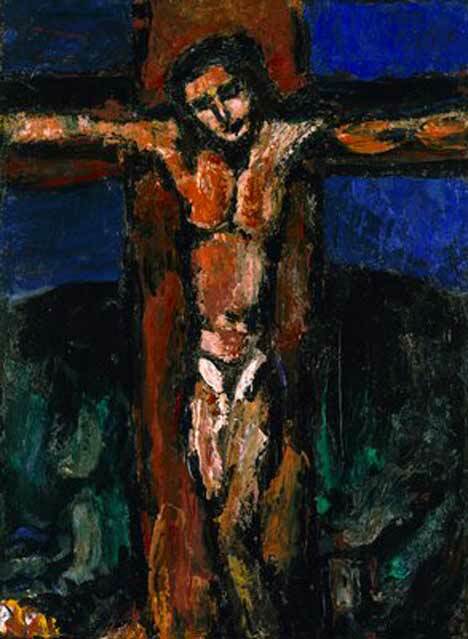 The cross is the shape of the kingdom which shapes Jesus' vocation and mission as the Son of God. When we pray "...Son of God..." we point with Jesus toward the kingdom, toward the cross, and toward the mending of a broken world in the broken body of Jesus.